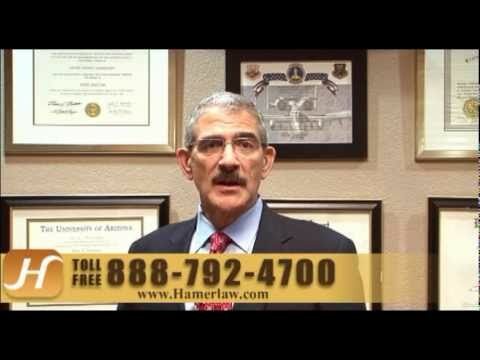 At The Hameroff Law Firm in Tucson, we stand up for the victims of drunk driving accidents. We sue drunk drivers. We also go a step further and hold negligent bars, nightclubs and restaurants accountable when they over serve patrons who then go out and hurt people in southern Arizona. Under Arizona’s dram shop laws, sometimes referred to as “liquor liability” laws, establishments that sell alcohol to patrons they know or reasonably should know are intoxicated can be held civilly liable for drunk driving accident damages. Almost all bars, restaurants and nightclubs carry insurance in case a patron causes a drunk driving accident or injures another while drunk. Since Arizona liquor licenses cost upward of $25,000, these businesses often have a powerful incentive to settle a fair and reasonable personal injury claim. Contact us today at info@hamerlaw.com to schedule a Free Consultations to learn more about your rights and options under Arizona dram shop laws. If I Sue the Driver, Can I Sue the Bar as Well? Yes. Under the legal concept known as comparative fault, you can seek compensation from multiple parties who caused or contributed to your injury or your loved one’s death. Liquor liability cases can be complicated. We have over 25 years of experience in making negligent individuals and businesses pay when they cause serious injury or loss of life. Call our Tucson offices at 520.792.4700 or 1.888.792.4700 today to discuss your drunk driving accident case with an experienced lawyer and find out whether a lawsuit under Arizona dram shop laws may be a real option in seeking maximum recovery. You also can email us at info@hamerlaw.com with any questions or to schedule an appointment.